As we continue to trade a valet parking ticket for our car key, we have to assume certain risks because the restaurants or other types of businesses that offer free or paid valet services will not. If you think that restaurants will compensate you for a stolen car or stolen items placed in the car, just read the fine print on the valet ticket which states the business does not assume any responsibility for lost, damaged or stolen items. When I checked my last valet parking ticket, there was no mention of stolen car in the fine print on the back of the ticket although it denied any responsibility for damages or lost items placed in the car. Therefore, I assume that if my car was stolen while in the custody of the company providing valet parking services, then the business will replace my car with a comparable one minus the items that were stolen from the car as they only claimed not to be responsible for the stolen items. Although I know my assumption is completely wrong, the degree of responsibility assumed by any business providing parking services for any lost car or item, may vary from one valet service to another. Some businesses provide the parking services themselves with their own hired employees and others outsource such services to a professional valet parking service company. Businesses provide this complementary service for their customers to address issues related to parking space shortage, convenience, long walks, security, and short visits. When businesses hire their own employees to provide valet services, they treat these employees as any other employee in terms of checking their background for criminal acts and/or financial fraud and abuse history. But what about when they outsource this service to another company to provide the service to their customers? They rely on the company providing the service to check the background of the employees whom they send to their place of business like restaurants to provide valet parking services. I once saw a business disclaimer regarding its valet services indicating "The business takes no responsibility for the valet service". Interesting enough this notice did not appear to bother the customers who gladly rendered the car keys of their expensive cars to the valet guys. 1- Valet Parking service company may send criminals and thieves to serve business customers – Businesses take a great risk when they outsource their customer service to another company. To me, valet parking is the first customer contact in any business transaction and it’s extremely important to have a first good impression when the customer first reaches the business location. Businesses provide valet services to improve their customer service process and when businesses outsource an important part of their customer service, they also outsource background checks, training, physical appearance, communication and behavior of valet employees. 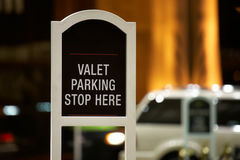 Businesses typically let the valet service company manage their employees and do not manage the valet employees as they manage their other employees. Businesses should be proactive in managing the valet service provider and its employees when they are working on their premises. They should make sure their business contract includes a clause for independent verification of all agreed upon requirements for ensuring highly trained, ethical, and customer friendly valet parking employees assigned to their business. 2- The business may not perform background checks on its valet employees – There is always a risk that even the companies which employ their own valet parking employees, may not take all the precautionary steps to ensure the hired parking employees are highly ethical and clear of any criminal background. This is not only a risk to the customers but also a risk to the business itself since a bad publicity might negatively affect the business image and customer loyalty. 3- Valet parking service company does not assume any responsibility for lost and damaged car or personal items – As you read the fine print on your valet parking ticket, it clearly states that no responsibility is assumed for nay lost, stolen and damaged car or its contents. As customers, we take a great deal of risks every time we hand our car keys to the valet guys and I think there is a universal understanding that we take that risk each and every time. Although, this is a risk I take when I give away my car keys, I also understand why businesses and their valet services would not take any responsibility because how do we agree what type of car or items we temporarily transferred to them during our visit. One way to resolve this is to use a signed checklist and mutually agree about information regarding the car and its important items at the time of check in and checkout. But until there is a mutually agreed process to validate the car and existence of important items in the car, the risk is transferred to customers even while the valet parking has full custody of the car. Basically, businesses tell us the valet parking service is provided to customers for improved service and that we must use it at our own risk or self park. Maybe I can understand a little if the valet parking service was free but in some cases we as customers pay a lot of money for this service. When we pay for a service or a product, we expect certain level of protection against damage and quality. So, why is it different in this case? If our cloths are damaged, lost or stolen by dry cleaners while in their custody, don’t we expect compensation for our damaged, lost or stolen goods? 4- Valet parking ticket may be stolen leading to car theft – The valet ticket is the same as your car key. What would happen if you lose your valet ticket inside the restaurant? Can someone else take it to the valet guy outside, get into your car, and drive away? Absolutely. All the valet guy needs is the ticket. This is another flaw in the valet service process in addition to not agreeing on a list of items in the car. To resolve this issue, the identity of the driver must be obtained at drop off and validated upon exit from the parking. Customer identity can be obtained by keeping a driver’s license which is returned at the end of the service. Otherwise, not only someone other than the car owner can drive away in the car but also, the car owner cannot even prove that a car was dropped off in the first place. The valet guy can deny any car drop off or even ever meeting the car owner if no ticket, log or ID is available. All I can say is protect the ticket as you protect your car key until the industry improves the process. 5- Items placed in the car may be stolen – Don’t leave valuable items in your car while it is in the custody of the valet. As I mentioned, unless and until the items in the car are validated, customers assume all risks. The best thing to do is not to leave any valuable item in the car. This rule will certainly apply to your wallet, purse, home keys, camera and other personal items containing personal information. Your personal items can either be stolen or duplicated for use immediately. One example is counterfeit credit cards or duplicated home keys. If the valet guys happen to be part of a criminal gang, they can swap your credit card data and create a counterfeit or virtual credit card to make fraudulent purchases. You will have no recourse with the valet company or the restaurant if your personal items are stolen or used for identity theft and fraud because not only you may never know they are the ones who committed the fraud, you can not prove what items were in the car when you first arrived at the place of business, and you can not even prove that the valet guys are the ones who stole or misused your personal information. Your house may even get rubbed a few days later after using any valet service if your home keys are attached to the car key and if you leave your driver’s license or check book in the car which provide your residence address. Once I heard that some valet guys rub customers' homes while they are attending a wedding or other lengthy events using the customers’ cars and their house keys found in the car (read # 8). 6- Cars may be damaged while in custody of valet parking – This may not be a problem if you are driving an old beat up car but if your car is a brand new luxury car that you care about, you should be concerned about potential car damage. Again, scratches and damages to cars can occur especially if the parking space is small and cars are parked behind and next to each other in a crammed parking lot. If you have an expensive car or if you care too much about your car, you should consider paying extra money to the valet guy to park it in an isolated area where they don’t have to move it to get another car in or out. 7- Accidents can occur while valet guys drive your car – Sometimes, the valet guys have to drive a car on the streets to park in a designated valet parking location. Other times, the valet guys may take an unauthorized joy ride with your car especially if it’s a Ferrari or other attractive cars. Such accidents are also part of the risks when you give your car keys to someone else to drive whether it’s the valet guy or someone else. If you’re worried about accidents and damage to your car, self park it if you can or make specific requests to park it in an isolated area and get the keys back. This way, since the car is in an isolated area, they don’t need the keys and you retain custody of the car while dining. Of course, like anything else in life, in order to get things done your way and differently than other people, you will have to please the valet parking guy with extra money. 8- Valet guys may drive your car to your home using the address listed on the checkbook or IDs found in the car and enter your community and house using the remote controls and keys left in the car. There have been reported cases of valet guys rubbing a house using the required tools already available in the car such as pre-addressed letters to locate the house, remote controls or RFID tags to open the gate or garage door, and keys attached to the car key chain to access the house and other locked areas. Always remove remote controls, keys, documents and other personal items from your car before handing the car key to the valet person. Disable the RFID tag if possible during times when you release custody of your car to a stranger. Don't make it easy for them to steal your valuables. 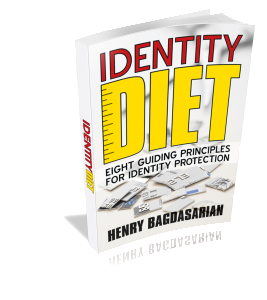 Go to the identity theft prevention section from "valet parking" for other articles.